Long lasting giant 600ml can. 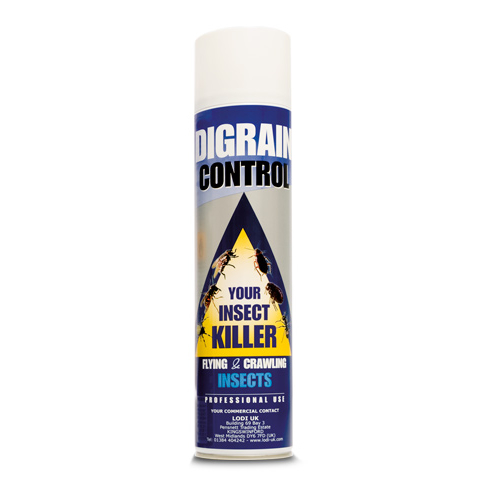 Application Rate: apply a 10 second burst per square metre of surface or apply short bursts of 1 - 2 seconds directly at the insects. Do not contaminate food stuffs, cover or remove all food stuffs prior to application. Remove all persons pets and livestock from the area to be treated prior to application. Do not apply the product directly to pets or livestock. Highly toxic to fish and other aquatic life, prior to application either cover or remove fish tanks or fish bowls. For indoor use in public hygiene areas ventilate treated area thoroughly after application. Do not apply directly to clothing, bedding or soft furnishings.